A Canadian gold mining company has agreed to help clean up South Dakota’s most contaminated industrial site. The agreement is part of a trend of public-private partnerships that could expedite remediation of America’s polluted lands and waterways. Agnico Eagle Mines of Toronto has entered into an agreement with the U.S. Environmental Protection Agency and the South Dakota Department of Environment and Natural Resources to perform $1.5 million of pollution testing at the contaminated Gilt Edge gold mine in the Northern Black Hills. The mine is by far the largest and most contaminated of the two EPA Superfund sites in South Dakota. In a partnership never before tried in South Dakota, Agnico will drill as many as 18 holes at the defunct gold mine over the next two years to help the state and federal government understand the source of cadmium that is polluting water at the site south of Lead-Deadwood. The project contains a possible profit motive for Agnico. After providing data from the drilling to the EPA and DENR, Agnico will analyze the drilled materials to check for the presence of gold in profitable amounts. If the company finds good gold, it could later apply to mine the site. So far, Agnico has not begun the long process of applying for a mine permit, and no mining is allowed under the agreement signed this spring by all three parties involved. State and federal regulators, as well as officials from Agnico, see the agreement as a win-win situation, with a private firm reducing government clean-up costs while also creating the potential for a return to profitability of the Gilt Edge Mine. Local reaction to the plan has been mixed, but mostly muted. Some local officials and neighbors support a quicker clean-up and a return to mining and the jobs and tax revenues it could create. 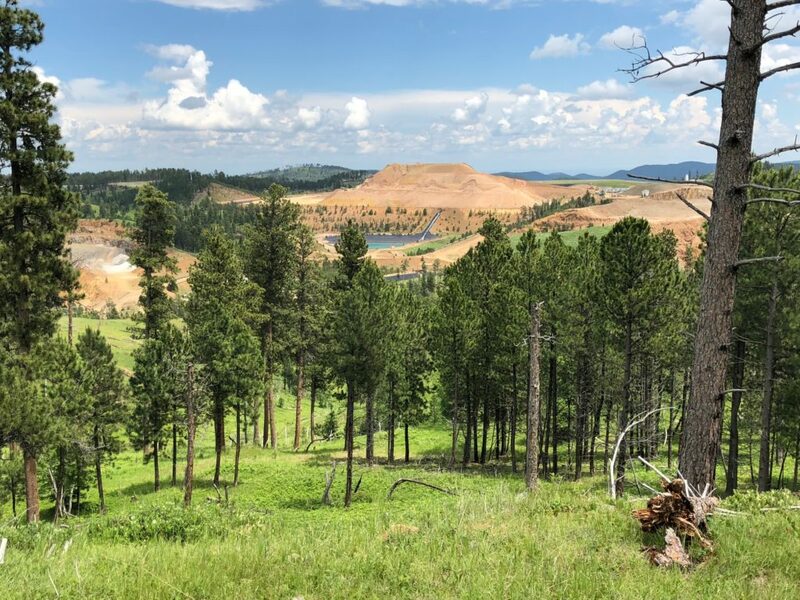 But official public comments submitted to the federal government reflect worries that private involvement at Gilt Edge could lead to extensive re-mining and possible further contamination of the site and the resplendent Black Hills surrounding it. No matter how the Gilt Edge experiment plays out, it seems likely that similar public-private partnerships will be relied upon in the future to hasten the clean-up of Superfund sites that often take decades and hundreds of millions of dollars to remediate. In July 2017, the federal government released recommendations of the Superfund Task Force created by EPA Administrator Scott Pruitt that included a major goal labeled “Encouraging Private Investment” and a recommendation that the government “optimize tools and realign incentives” to push for more third-party investment as a way to speed remediation and reduce government costs. “EPA recognizes that it should support, where appropriate, innovative approaches to promote third-party investment in cleanup and reuse of contaminated properties consistent with statutory authorities and needs to consider mitigating its retained rights,” the report said. The Gilt Edge Mine sits atop a pine-encrusted ridge line east of U.S. Highway 385 about six miles south of Lead. The air is crisp and clean and the landscape is rugged, teeming with deer and elk around the edges of the giant open pit cut into the earth at the center of the mine. Gold was first removed from the site in 1876, and numerous mining companies have sought their fortunes off and on ever since. In 1988, Canadian-based Brohm Mining Co. took over and mined until 1998, when the company went bankrupt. It abandoned the site and ended its required water-treatment operations. Brohm left behind vestiges of decades of cyanide leaching and other processes that use water and chemicals to remove gold from giant piles of crushed rock. When the company left the 360-acre mine site and 258-acre open pit, it left behind 150 million gallons of heavy-metal laden water in three open reservoirs, 3.3 million tons of mined ore and 12 million cubic yards of acidic waste rock contaminated with arsenic, lead and cadmium. In 2000, the mine was declared an EPA Superfund site. The federal government obtained about $40 million in settlements from responsible parties and has since spent that plus another $80 million in public money to clean up the site (South Dakota’s share has been about $6.4 million as of May 2017.) The EPA plans to spend about $80 million more to consolidate mine waste into three pits that will be closed and covered with an impermeable layer, which should take about another decade to complete, according to Joy Jenkins, the EPA project manager for the Gilt Edge site. The main source of pollution at the site is from rainwater and runoff that filter through the acid-tainted rock left at the site. In an average year, the EPA treats about 95 million gallons of tainted water that is then dumped into Strawberry Creek, which flows into Bear Butte Creek. Among other problems, however, is a lingering concern over low levels of toxic cadmium that enter Strawberry Creek. Determining the source and levels of cadmium is a major focus of the work that will be done by Agnico, Jenkins said. Beyond that, the EPA has tasked the firm with testing some old mine tailings along the creek, installing an automated weather station and upgrading some aging facilities at the mine site. If Agnico does find gold in profitable amounts, and seeks a South Dakota mining permit, it would be a point of negotiation among the EPA, state and mining company as to the firm’s fiduciary responsibility to clean up after its own mining activities, as well as all or part of the existing mess left behind by Brohm, according to Greg Loptien, U.S. exploration manager for Agnico. The state and EPA have a defined remediation plan for the Gilt Edge mine that someday may return it close to its natural state, with impermeable liners, dirt and eventually foliage topping the mine waste. But executing that plan to completion depends on the state and federal governments continuing to provide adequate funding, said Mark Lawrensen, environmental scientist with the South Dakota DENR. Whether or not Agnico becomes legally responsible for cleaning up the mess left behind by Brohm, the involvement of a new mining company at the site would likely speed up the overall remediation process, said Lawrensen. With so much contaminated exposed rock at the site, Jenkins and Lawrensen acknowledge that water-treatment activities at the site will need to continue for many more years. That process now costs about $1.7 million a year, Jenkins said. 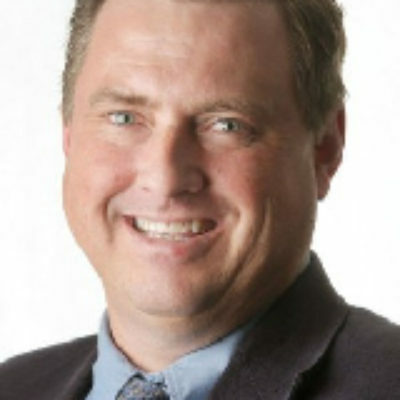 To guarantee it will uphold its end of the exploration agreement, Lawrensen said the firm will have to surrender $1.5 million to the EPA and state if the exploratory work isn’t done as promised. “The opportunity is that the private company could come in and take over the site and provide a financial resource to help with the clean-up and the future operations and maintenance at the site. If they were to continue and take over the mine site, they would probably clean up the site at a quicker pace than is being done.” Mark Lawrensen, DENR environmental scientist. Though the Agnico agreement is the first of its kind in South Dakota, other public-private partnerships are underway to rehabilitate polluted mine sites across the country. At the Stibnite Mine in north-central Idaho, severe contamination was left behind by a gold mine that operated for decades prior to 1990. Since 2014, the Midas Gold Corp. has been seeking permit approvals to renew mining at the site, where the firm believes it may find half a million ounces of gold and 180 million pounds of antimony, used as a flame retardant and in batteries or bearings. The EPA has spent more than $4 million to reclaim the site so far, though Midas said it will spend much more in private money on clean-up if mining is approved and successful. “The ecosystem at the Stibnite Gold Project site is in need of healing; our plan is as much about restoring the site as it is about mining it. Redevelopment will allow us to raise enough capital so we can properly take care of the environment,” Midas Gold says on its website. Private industry played a role in the redevelopment of the massive Anaconda smelter copper mine in Southwest Montana, and now golfers are traversing one section of the former contaminated site. The mine closed in 1980, leaving a 300-square-mile swath of contaminated land in its wake. After the EPA and state clean-up efforts, U.S. Minerals was able to generate revenue from slag generated by the remediation, and golf legend Jack Nicklaus developed a world-class golf course on the site. Contaminants remain present and remediation is continuing, according to the EPA. Another mine reclamation involving private industry took place in the late 1990s at the former Illinois Creek Gold Mine south of Galena, Alaska. The remote mine operated for only about three years before the mining company dissolved and abandoned the mine. The state took ownership and assumed the $1.6 million bond put up by the mining firm and continued some mining operations to generate revenue for reclamation. Not long after, a private group called American Reclamation Group signed an agreement with the state to resume mining in order to generate revenues to clean up the mine. 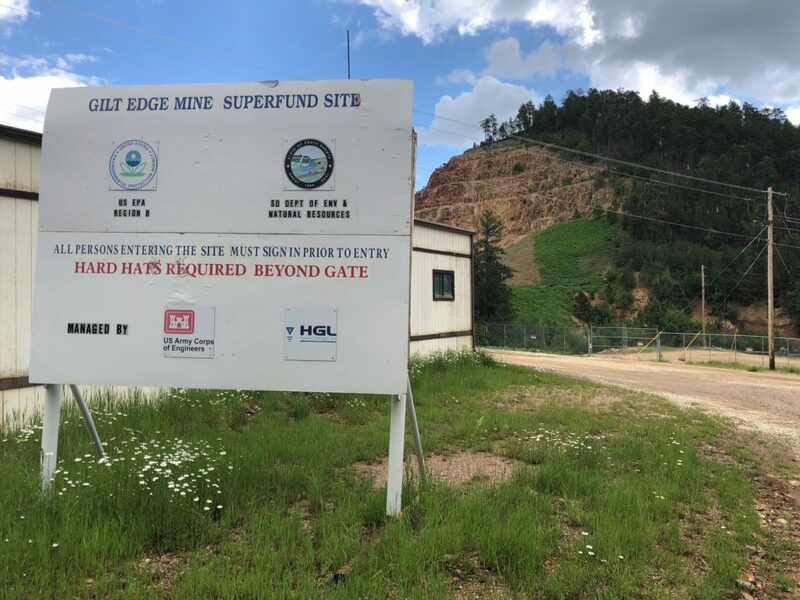 After several years, the mine was closed and cleaned up, and ARG was able to provide the state with a nearly $1 million trust fund to pay for monitoring of the site for 30 years. Even though it was much smaller and had far less contamination than the Gilt Edge mine, the public-private Illinois Creek remediation effort provides a decent case study for how Gilt Edge could play out with Agnico, according to Alaska Department of Natural Resources project manager Kyle Moselle. Moselle noted that a critical factor to the partnership is that sufficient mineral resources must remain at the site in order to entice a private firm to begin mining and clean-up efforts. Jenkins, of the EPA, said the agency has long had in place mechanisms for private industry to play a role in clean-up and reuse of contaminated brown fields or Superfund sites. She said the recent Superfund task force recommendations, however, could heighten interest in engaging in such partnerships. That happened in the Gilt Edge agreement where Agnico learned of the potential for gold remaining at the site and then contacted the EPA and state of South Dakota to begin discussions of a potential agreement, Loptien said. A team of Agnico employees came to Spearfish in June to present their exploration plans and take questions from the Lawrence County Commission. Unlike the staunch opposition that has emerged against a gold exploration effort near the town of Rochford in the Northern Hills, outward opposition to Agnico’s exploration at Gilt Edge has been muted. 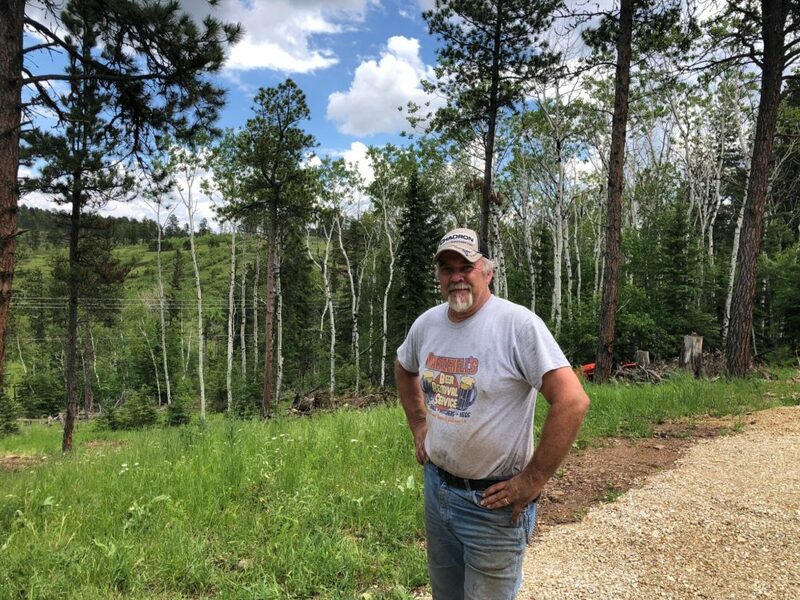 The closest neighbor of the mine site, Todd Marzenell, lives with his wife in a small home on 20 acres of pristine pine- and birch-covered woodlands atop Last Chance Ridge just west of the mine site. Marzenell said he isn’t concerned about Agnico’s exploration at the site or even if the company begins to mine anew, as long as the rugged section of road leading to his property is graded and smoothed out. He believes the site can be mined safely as long as the mining company doesn’t cut and run like Brohm. Loptien is a Nevada-based employee of Agnico, which formed in 1957. The company has 9,300 employees and eight gold mines in Canada, Finland and Mexico as well as ongoing exploration efforts in Sweden and the United States. The company produced 1.7 million ounces of gold and 5 million ounces of silver, generating $2.24 billion in revenue in 2017. 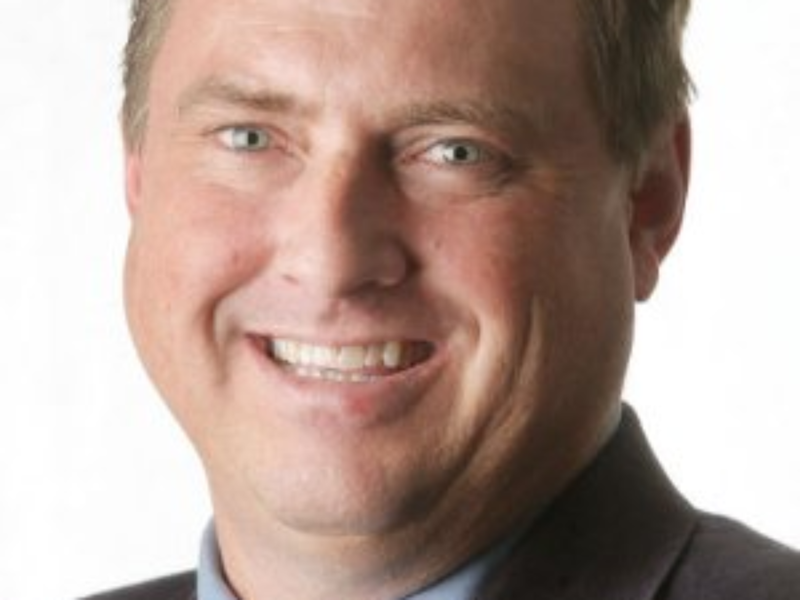 The company, Loptien said, is a good corporate citizen that has already hired a Montana firm to do the exploratory drilling at Gilt Edge and expects to hire several more employees and contractors from western South Dakota. He said local residents should not fear that Agnico will do more damage at the Gilt Edge site, and added that its activities will be under close scrutiny by the state and EPA. In a community like Lead, built upon a nearly 150-year history of mining, residents are likely to support any new mining activity at Gilt Edge, Mayor Ron Everett said. “We’re historically a mining community so there are a lot of mining people here who have a history of jobs and making money from mining, so I think they’ll all be for it if they do it right and there’s responsible mining,” said Everett, a retired business manager with the nearby Wharf Resources gold mine.